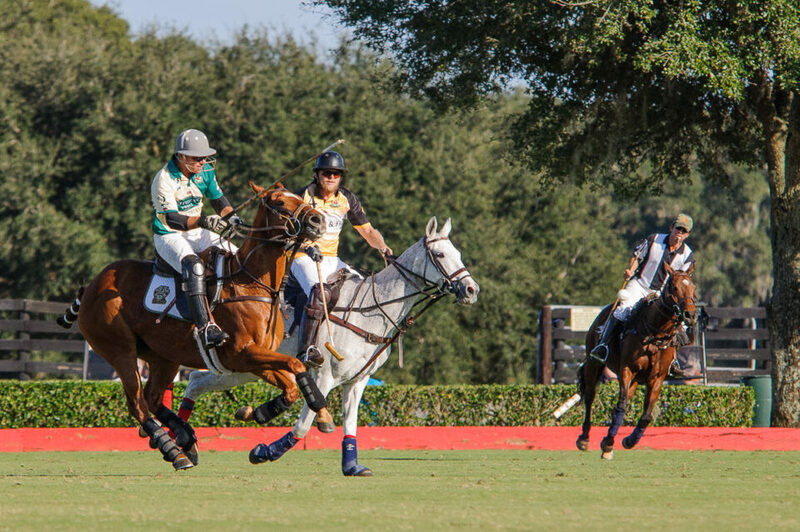 Each Polo team consists of four players, plus there are two officials on the field (Arena Polo teams are only three players each). 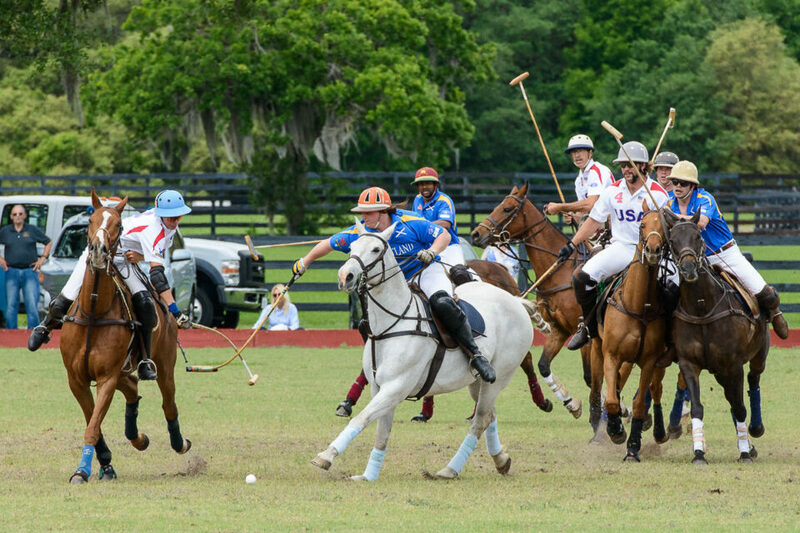 The ball used in Polo is small, not much larger than a baseball, and is made of a hard plastic. When hit, the ball can travel at speeds in excess of 60 mph, so getting hit with one hurts. 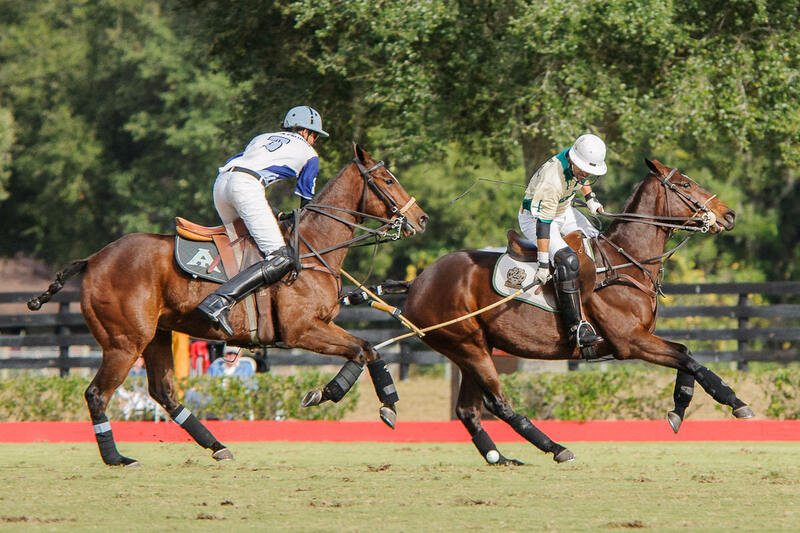 If shooting Polo, be prepared to move out of the way, and to make sure the ball does not hit your camera. Despite being out of bounds, the player can continue to hit the ball as long as it is in bounds. This may be the only sport in the world that allow that. Whichever way you shoot this sport, you will need a lens with reach. My preferred lens is the Nikon 80-400. When I first starting shooting I used a D90 with a 70-300, and then got a D3X and the old version of the 80-400, which I used until I literally wore it out. If I can ever get my hands on a Tamron 150-600, you can bet I will use it for shooting Polo. I have seen people shooting it with fixed lenses (400mm or longer), and with the 200-400 lens, among others. Occasionally the players can be right in your face, so I typically carry a secondary camera with either a 35 or 50mm fixed lens, or the Nikon 24-120 zoom. You should also use high-capacity memory cards. While standing by the boards to get better shots is good, sometimes you can be a little too close. Be prepared to move, and quickly. Cameras with a large buffer are best, but if you are prepared to shoot in short bursts, you can get away with a smaller buffer (like the D7000 or D600 series). I like the large buffer in the D810, and have yet to max it out. Shoot in NEF instead of JPG, as the changing light conditions are best handled with raw files. The sides of a regulation Polo field have boards, to help keep the ball on the field, but the end zones do not. A Polo match is six chukkers (periods) long. If the score is tied at the end of regulation, then a sudden death chukker will be played. Each chukker is seven and one-half minutes long, with a running clock, unless stopped by a penalty (or injury). Injuries usually happen in one of two ways; either falling off of a horse, or getting hit with the ball. All players wear helmets, and some players have face guards added to their helmets for additional safely. I have seen (and photographed) someone getting hit in the face with a polo ball, which is not a pretty sight. A player with a face guard. This shot went right by his face. He might be thinking he should start wearing a face guard. The action starts at mid-field, with the players lined up on opposite sides, and the official throws in the ball. The players try to take control of the ball, so they can take it down field and score. There is no net, just two tall goal posts at each end. The posts are padded and loosely attached to the ground via pegs, so that they will fall when (not if) hit by a player and/or horse. Action sequences are very easy to get in this sport, but perhaps the most interesting ones are when someone falls off (which is also referred to as an “unscheduled dismount”). In most cases the injuries are minor (more bruised ego then physical damage), while in other cases the injuries can be severe (one of the first ones I photographed the player broke his hip). As this sequence shows, not only did the player have an “unscheduled dismount”, he also took out the goal post. Fortunately neither he or the horse were injured. The shaft of a Polo mallet is made of bamboo, and therefore is flexible. Mallets are used for both hitting the ball, and for blocking the opposing players mallet (a maneuver called hooking). Despite their flexibility, mallets do break, normally having the head break off, but the shaft can also splinter. 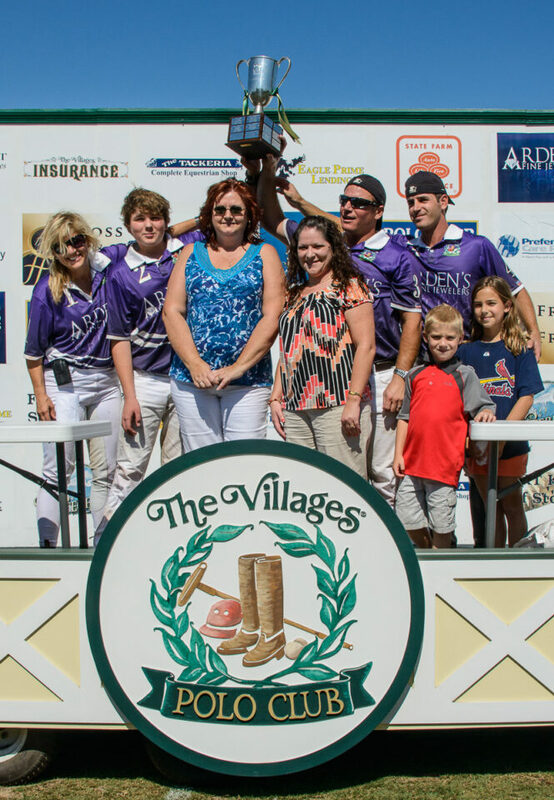 A player will continue to use a broken mallet until a break in the action, as there is no “time out” in Polo. The head of his mallet broke off, and went flying down the field. While hooking the player in front, the shaft of the trailing players’ mallet wrapped around the other players’ mallet and broke. 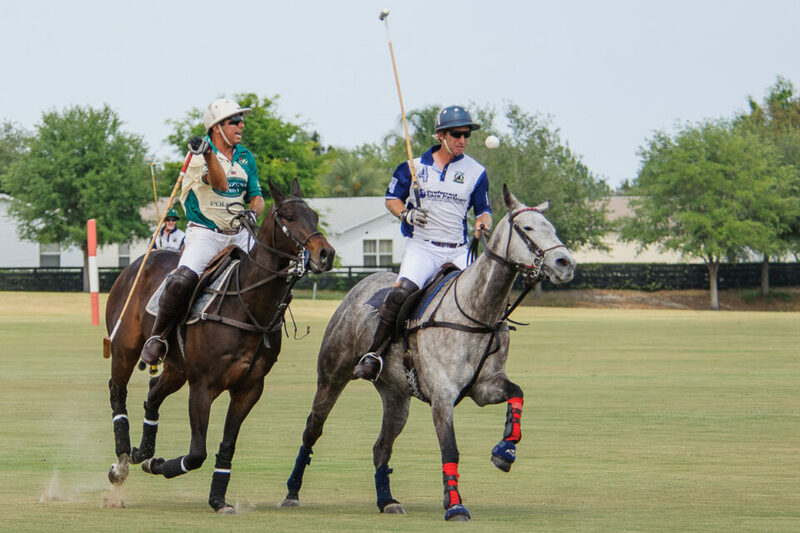 Polo is similar to hockey, in that the opposing players try to keep each other from the ball. This is usually done by “riding the other player off” or “bumping” (the Polo version of checking). A player will ride up next to another one, and use his horse to try and “bump” the other player away from the ball. 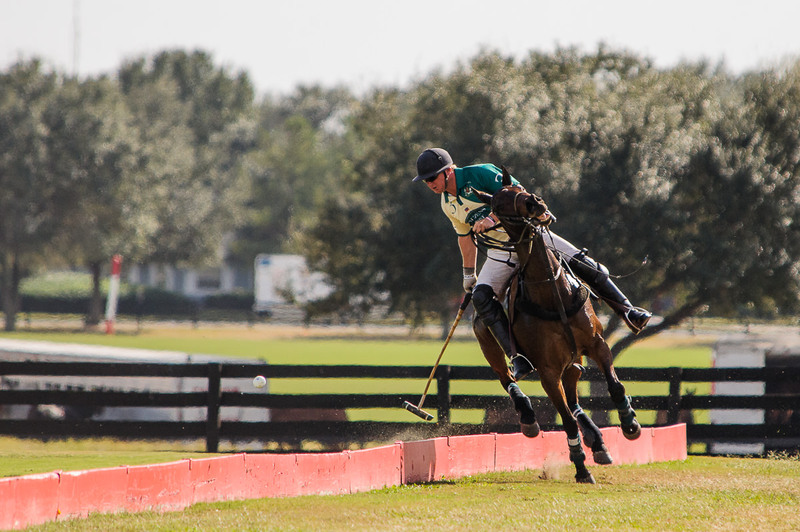 When shooting Polo, follow the ball (or player with the ball), but keep your second eye open. As mentioned above, there are “unscheduled dismounts”, and these do not always occur around the player controlling the ball. Be prepared to quickly switch subjects, or you may miss the shot. I use AF-C, single point focus, and focus on the horse instead of the player (bigger target). I have found sideline shots easy in this sport. Watch the crowd during any break in the action, and snap a few candid shots. For candid ones of the players, either arrive early and spend some time down at the trailers, or shoot them after the game. 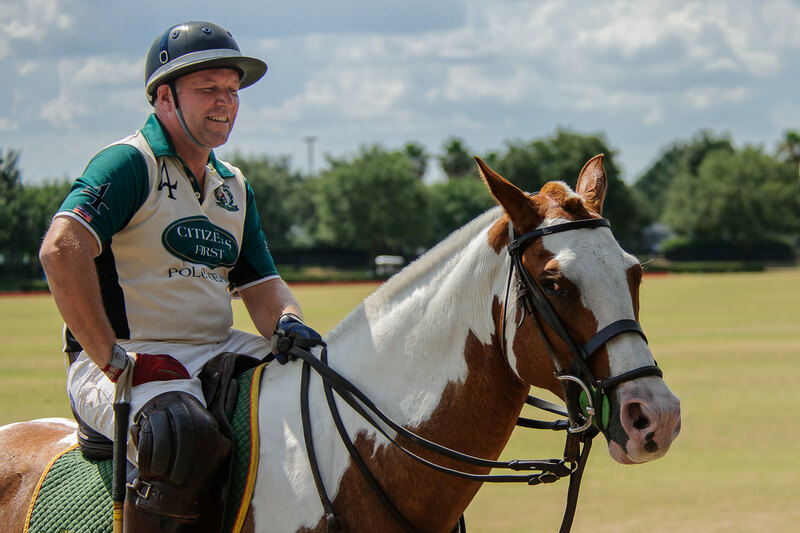 Most players will bring at least six to eight horses to a Polo match. They typically change horses at the end of each chukker, and sometime during a chukker, so a spare horse or two is not uncommon. The trailers are all parked together at one end of the field, and at most Polo venues fans are allowed to visit. During the halftime break (at the end of the third chukker), is also a good time to get some candid shots of the crowd. Taken after the match, while the player was watering his horse. As with all sports, Polo should be shot with a high shutter speed. I try to never go below 1/1,000th of a second, and prefer to use 1/1,600th or faster when I can. As Polo is played outside, you are subject to the weather, so Auto ISO is your best choice. I use a different folder for each chukker, (101, 102, etc), and if there is more than one match, will then start with 201 for the next match. This makes it easy for me to sort my photos later. Another factor can be rain. Action will continue unless there is lightning, so be prepared to either seek shelter, or use a camera+lens combo that can handle the weather. Trophy shots after the match are also common. In some of the northern states Polo is played in the snow, and in some southern areas they will sometimes play on the beach. I have neither seen or shot either of those, so I will not make any suggestions for shooting them. 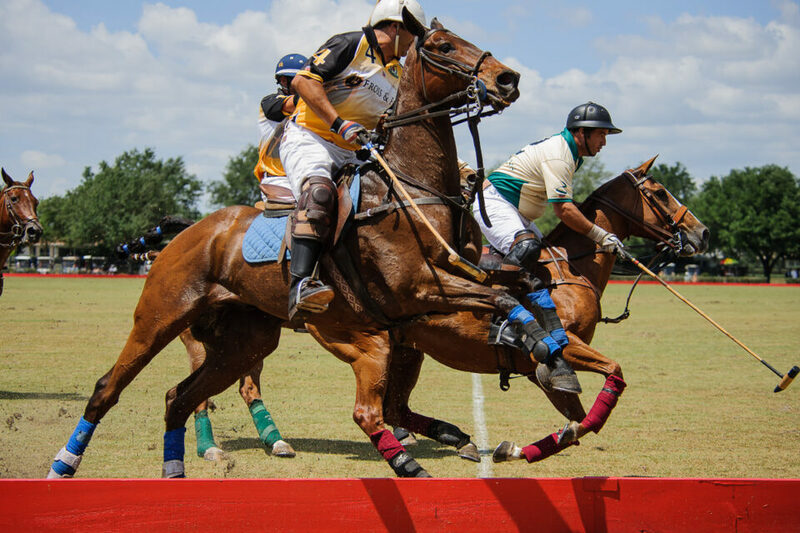 Polo is played in levels (4 Goal, 6 Goal, etc., up to 40 Goal). The higher the Goal level, the better the quality of the players. Each Polo player is rated as to strength, with 10 being the highest rating (there are only about a dozen players in the world with a 10 rating). The rating of the players of each team are added up to determine the Goal level (or quality) of the match. I hope someday to see a 40 Goal match, but those are rare. 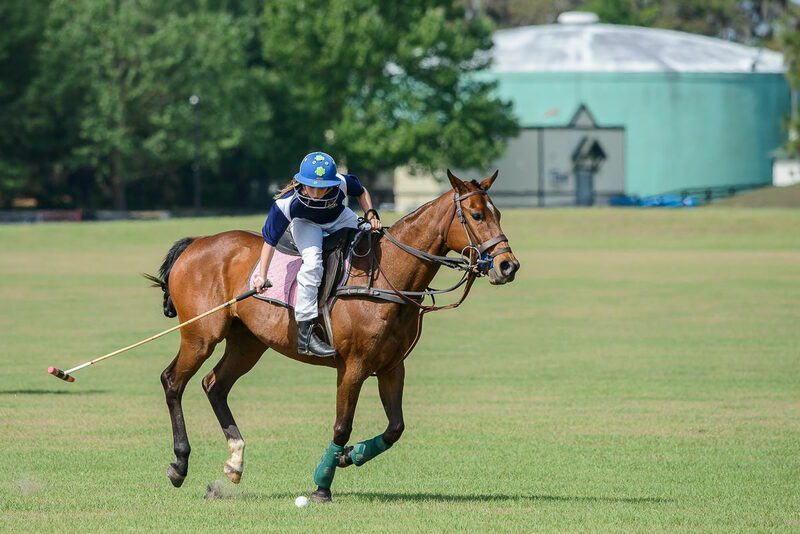 Both men and women play polo, and it is not uncommon for teams to consist of both genders, though some tournaments are restricted to just one gender. In addition, Polo is played by people from their teens to their seventies. A young player just getting started. So check around in your area, get out the long lens, then go and shoot some Polo. You will find that it is a very entertaining and exciting sport, plus you never know when you will capture an unusual shot. Article and all images are Copyright William Jones. All rights reserved. No use, reproduction or duplication including electronic is allowed without written consent. Interesting sport William – now that is a large field! I liked the mallet breaking and other descriptions of the sport. Thank you. I tried to describe the sport (without too much detail), since it may be one that a lot of people are not as familiar with (like Baseball or Soccer). Then the task was to find pictures that fit the details I mentioned (sift through thousands of pictures quickly). Polo may have the largest field of any sport (especially elephant polo, which is not played in the United States). Great series of polo photos and description of the sport. Thank you for this. You’re welcome. Polo is a very interesting sport to view, and especially photograph. I have thousands of shots from hundreds of matches, and you should see some of the ones I didn’t include (for example: I have a nine shot continuous hooking sequence, a sequence of one player stealing the reins from another player, plus lot of other “unscheduled dismounts”, just to mention a few). I tried to keep the description concise, but with enough detail to not be boring. Hopefully I was successful. William, come to Argentina, best polo in the world! As I’m writing this comment the “Abierto de Palermo” is going on, highest handicap teams in the world, since they don’t play for money, just the trophy, the game turns much more exciting. Going to Argentina to watch some Polo is on my bucket list. I believe the only 10 goal players are all from Argentina. Thanks for the interesting article and nice photos. You’re welcome. I happy you were able to enjoy both. If you get a chance, watch (and shoot), some Polo in person. Another interesting article William, but this time (for me ) it raises as many questions as it answers.Perhaps the concept of using a single focus point and focussing on the horse is obvious to everyone but me ?I don’t understand why you would actually do either thing, but feel that you’d have a perfectly valid reason, given your obvious experience and level of expertise.Why wouldn’t 51 points and 3D tracking work better, for example; and surely it’s better to get the rider rather than the horse in sharp focus ?Not saying for an instant that you can’t or don’t achieve better results doing it in the manner you’ve recommended, just asking why.Another concern of mine would be whether these rather competitive and ( of necessity) quite wealthy people would actually welcome total strangers coming in and taking pictures of themselves and their children. My feeling is that they know and like you and are quite used to having you at their events taking pictures ; but how would they handle strangers who wanted to do the same thing ? Hopefully this doesn’t come across as anything other than inquisitive because it’s not my intention to do anything other than to learn more about my hobby.I went to numerous polocrosse matches in my youth but only to a handful of games of polo. 1) I shoot a lot of sports, mostly with AF-C single point (however, with the D810, I am now also using the Group Area option). I follow the action with the camera, moving where I point it as the subject moves, so 3D tracking and such is not needed (I want my selected subject as much in the center of the frame as possible). In sports, especially when the subject of interest is closely bordered by other subjects that are similar, I found in testing that the camera did not always stay on the target I wanted. For example a lot of horses are similar in color, so 3D tracking and 51 point would jump from horse to horse, making the subject I wanted, at times, out of focus. 2) The horse is bigger, and with the distances involved, easier to track with the camera. Think of shooting a moving person with a rifle from 300 yards away, especially a head shot, or of shooting the moving horse instead (and for those offended by that comparison, I apologize, but the best example I could think of). Annie Oakley I ain’t. Also, again consider the distances involved. The DOF at those distances are decent, not like shooting a picture when the subject is only 10 feet away. 3) As for the third point, not all Polo players are that rich. Some of the venues I shoot at include players that are far from rich. Yes, it does help to “work your way into their good graces,” but that is not always necessary. Also, there are both professional and amateur players, with most of the rich ones in the second category (at least in my area). Some of the rich ones sponsor teams. They hire three pro players and play the fourth spot themselves. As long as the venue allows other people to take pictures, so can you. 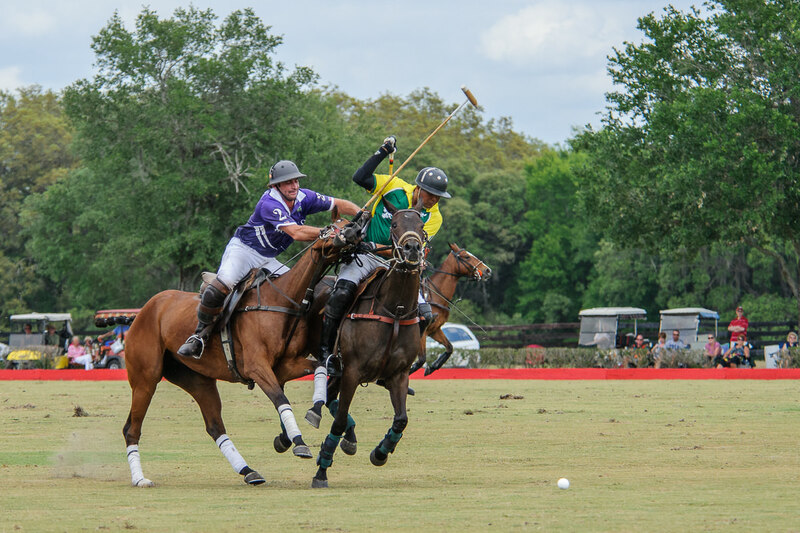 In addition, for a couple of years I worked as the professional photographer at The Villages Polo Club in Florida, which allowed me to move around as I pleased, and even shoot from the boards, which is not normally allowed. Since 2009 I have probably shot several hundred Polo matches (I would be afraid to count). Hopefully this answers your questions. If not, continue to ask. I am never offended in explaining why I do what I do. Good luck with your photography. Thanks so much William for that amazingly detailed and helpful response to my questions.I’ll make a point of doing as you suggest when shooting sports from now on.It’s this sort of interaction between experts and relative neophytes ( like myself) that makes this site such a pleasure to visit and gives us the confidence to experiment and improve our work. After reading your post on Polo, a sport which I have never followed or understood, I really get interested in shooting it. Your shots are narration of the sport is truly inspiring to check this sport with my 300mm, which I mainly use for shooting tennis and birds using 2x converter. Thanks for sharing these wonderful pictures. I personally liked the 3rd pic of your post, wherein the players are really close to the sideline. Thank you. Glad you found both the pics and article interesting. I have shot it with a fixed 300 on one camera, and a fixed 50 or 85 on the other one, so you should be successful in using just the 300. When they are very close to you, you will then have the option of not shooting at all, or getting detailed shots of the players. I personally prefer to shoot so that I can capture the complete horse and rider whenever possible, but that is a matter of taste (and as they say, there is no accounting for taste). Try shooting some and let us know how it goes (perhaps even a link to some of your pics). 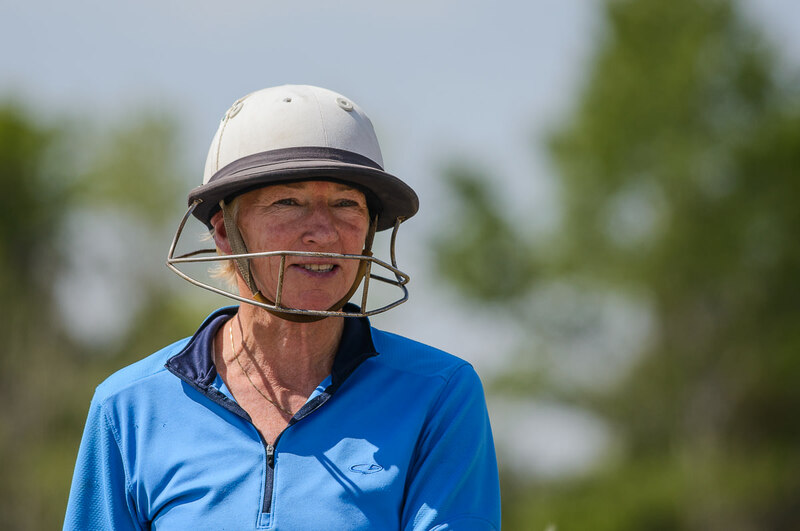 I’ve been shooting polo in Atlanta since 2009 but not with the fabulous equipment you have! And while I’ve been taking pictures since I was about 9 years old, I have never been able to wrap my mind around ISOs, shutter speeds and all the technical aspects of photography (brain wiring issue I suppose? ), but I keep trying! I get lucky occasionally and get some beautiful shots (and have actually sold some!) but I’m mostly out there because I love to be around the ponies and players. Anyway I’m out there again this season and really want to do better so I started searching around for some tips and found you! Thanks for the pointers and especially thanks for posting the pictures which show your camera settings. I’m hoping that this might help me! I want to ask if you recall where you were when you shot #7 photo…I think I know one of the players. I am glad that the article helped you. I sell some, but never enough to pay for the time and effort. Shooting polo is a labor of love. Shot #7 (if I counted right it would be the one with the crossed mallets, just after the crash sequence), was shot at Oxford Polo Club (near The Villages) in Florida. The match was between the USA and Scotland teams. I don’t know what camera you are using, but always be sure to invest in good glass, and use a good filter. One lesson I learned years ago was from somebody who shot pictures at a car race in Daytona. He proudly showed me a picture he had taken, and I pointed out that the picture was a little blurry. He explained to me that the cars were traveling at over 150 MPH. I agreed, however I had to point out to him that while the cars were moving fast, the track was not. His picture was blurry because he was moving the camera while shooting the picture, causing motion blur. So the lesson is simple, keep rock still while shooting, then move for the next picture. Practice this, and it may help you. I’ve been shooting photographs for over 65 76 years. I’m currently shooting polo on Sundays this summer. In addition to the fine comments above I have several other observations. Polo is a sport without the kind of set plays or pauses you have in other sports (except penalty shots) and the action is difficult to predict. I shoot with three cameras — each with a different lens on it. I have a D500 that I have a Sigma 150-600 sport lens on, another D500 with a short lens – 24-105 and a D850 with a 120 – 300 on it. I will use the long lenses on tripods and monopods with gimbal heads and handheld. I like shooting from a corner of the field as my area of action is 90 degrees wide instead of 180. I shoot with the highest frame rate — best on the D500, as the D850 will fill the buffer. In a typical match I will shoot about 1500 frames. Out of that I will get about 50 shots that meet my standards — not a great shooting ratio. Sometimes the keepers are embedded in a string that I hadn’t thought would produce a great shot. One difficulty, even with top of the line equipment, is maintaining critical autofocus. At times the autofocus will be on a horse or rider that I would not prefer. This is just luck of the draw. Polo is an elegant sport and can produce some outstanding equestrian images.